Summit Hill is a pedestrian friendly neighborhood of St. Paul MN. 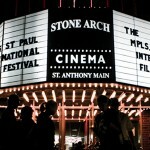 Grand Avenue, home of St. Paul’s most eclectic restaurants, is known for its shopping and dining. The Summit Hill neighborhood was originally conceived as a broad, Gilded Age showcase street, and is lined with the mansions named after notable St. Paul figures. With its vistas of downtown and the Mississippi River, Summit Avenue is thought to be one of the longest stretches of preserved Victorian mansions in North America. The Summit Hill neighborhood is located near four colleges and offers a variety of school options. Linwood A+ School is a neighborhood public elementary school and St. Luke’s Catholic offers kindergarten through eighth grade programs.